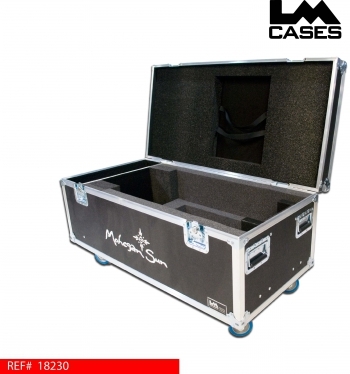 This case was built for Mohegan Sun Casino. 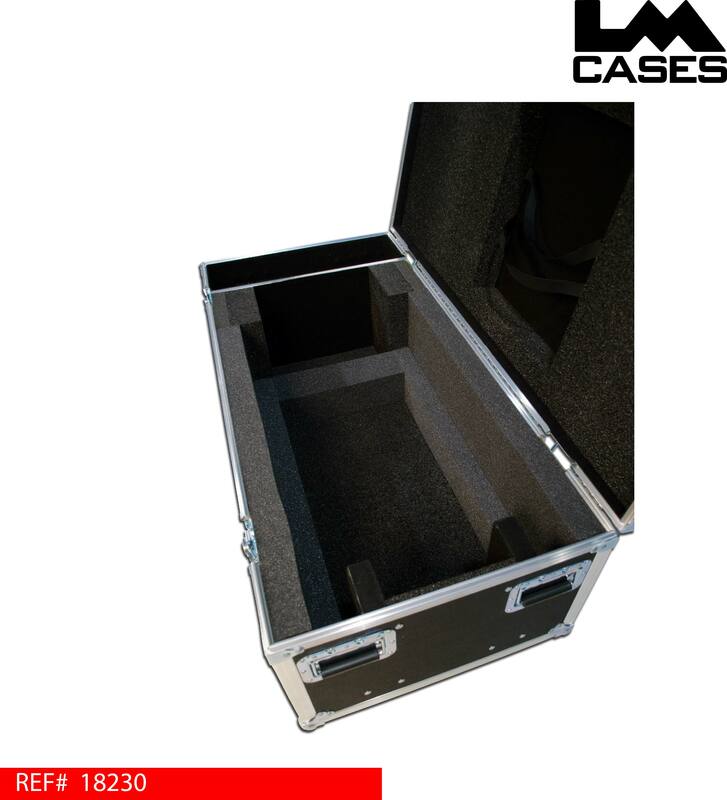 The case is designed to hold a single Varilite VL1000 fixture and floor base plate. 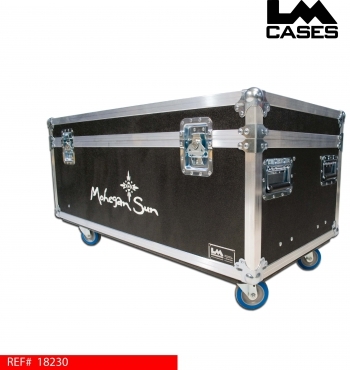 The fixture is designed to lay down in the case and be supported by the yoke via foam. The lens of the light is held in place via 2 foam wrapped plywood blocks in the front of the case. The case is designed to accommodate the light with its clamp attached, allowing for easier set up and tear down. 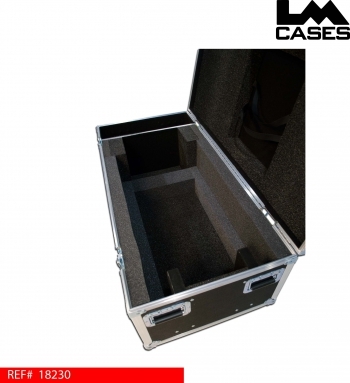 There is also a 4"compartment for cables and other accessories, the base plate is stored in the lid for quick access. 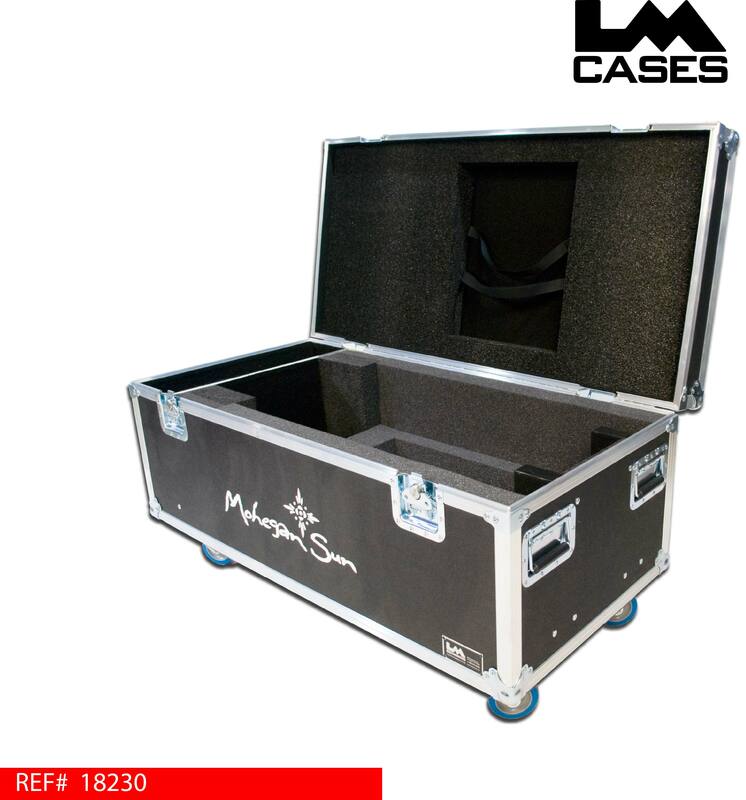 The case is built out of 3/8" plywood and features, 4" Colson casters, stacking caster wells in the case lid, and a custom silkscreen of the companies logo. Special thanks to John Kolasa and Mohegan Sun Casino!